TEL AVIV, ISRAEL—The U.S. Chamber of Commerce took steps to enhance business and investment opportunities between the United States and Israel. At a ceremony held Sunday in Tel Aviv. U.S. Chamber Executive Vice President and Head of International Affairs Myron Brilliant and Chair of the Presidium of Israel Business Organizations Shraga Brosh signed a Memorandum of Understanding (MOU), increasing the groups’ ability to advance and strengthen important commercial ties. Chair of the Presidium of Israel Business Organizations Shraga Brosh: "we see great importance in strengthening the commercial and business ties between the two countries, hopefully the MOU signed today will best serve the interest of the business sector in Israel and in the United States". The MOU outlines specific areas that the U.S. Chamber and PIBO will cooperate, including advocating for reduced barriers to trade; deepening business relationships; hosting a joint annual event bringing together private and public sector leaders; and producing a U.S.-Israel Trade and Investment Study on bilateral commerce. The U.S. Chamber and the Manufacturers Association of Israel recently released a report titled, “Re-energizing the U.S.-Israel Economic and Commercial Relationship,” laying out a policy framework for trade, investment, and innovation. You can read the report here. The U.S. Chamber of Commerce is the world’s largest business federation representing the interests of more than 3 million businesses of all sizes, sectors, and regions, as well as state and local chambers and industry associations. Its International Affairs division includes more than 70 regional and policy experts and 25 country- and region-specific business councils and initiatives. The U.S. Chamber also works closely with 117 American Chambers of Commerce abroad. Starting 2015 . The U.S. - Israel Business Initiative is headed by Josh Kram in Washington DC; starting 2015 its activity in Israel is run by the chamber's representative Adv. Hagit Genish-Gill. Due to regulatory difficulties, there has been a withdrawal of 10% in the Israeli Cosmetics Industry exports in 2015. 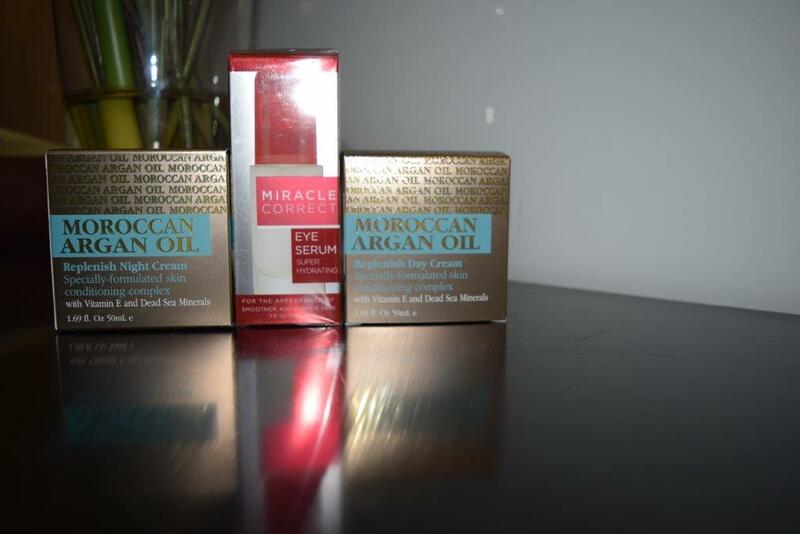 The Manager Association of Consumer Products' Manufacturers' Association expressed; "We must aspire to improve the competition capability in the cosmetic's export by cancelling the distortion of the licensing for export in the conditions for the product marketing license also in Israel". The Manufacturer's Association in Israel organized a tour of three of Israeli cosmetics companies for journalists on August 7th. The visit to a few of the production plants by the journalists was extremely interesting and inspiring for us. It was truly a pleasure to witness the enormous production of the Israeli cosmetics products sent all over the world to various department stores and business networks. 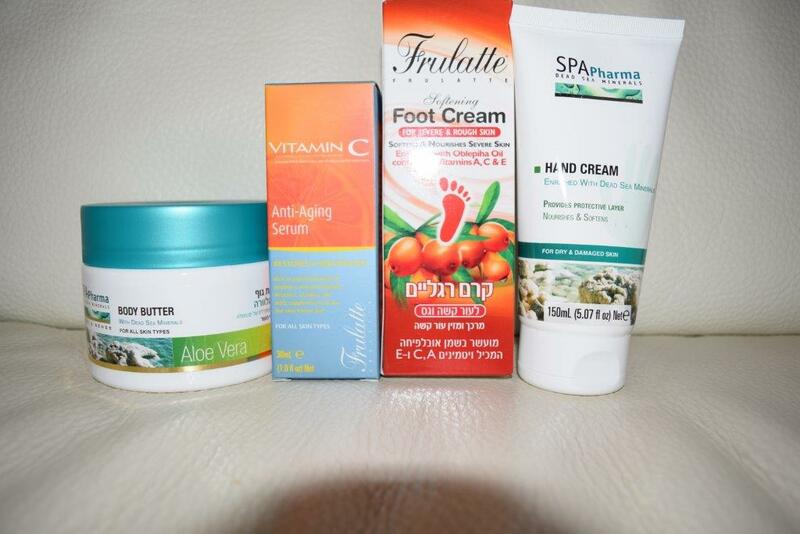 We are proud to be Israelis and admire the Managerial and working staff at these cosmetic plants. The production plants we visited operate in an organized manner under the cleanest conditions. This visit allowed us to appreciate the high technology, professionalism and hygienic conditions of these cosmetic's production companies in Israel. The data from the Manufacturer's Association in Israel indicates that, due to regulatory difficulties, there has been a withdrawal of 10% in the Israeli Cosmetics Industry exports in 2015. In 2014, the Israeli Cosmetics exports amounted to 609 million dollars, while in 2015 the exports amounted to 546 million dollars only – a decline of 63 million dollars. The main export decline occurred In relation to Eastern Europe and Russia, amounting to about 40%, from 73 million dollars in the year 2014, to 44 million dollars in 2015. Also, there was a decline of about 31% in cosmetic's export to the European Union countries, from 250 million dollars in 2014, down to 218 million dollars in 2015. On the other hand, there was an increase of 14% in 2015 in the Export to countries in the Asian Continent, from 67 million dollars in 2014, to 76 million dollars in 2015. Likewise, according to the Manufacturers Association data, most of the Israeli Cosmetics Export in 2015 was directed mainly to the European Union States (40%), North America (31%), Asia (14%), and the remaining export to the developing countries in Central and South America, Africa and the rest of the world (7%). The Cosmetics Industry in Israel in 2015 includes up to 80 production plants, most of which are small and medium size, employing some 10 thousands workers directly and indirectly. The annual activity cycle is estimated at about 4 milliard NIS, where about 50% of the production is intended for export. The net profit of the Industry-wide is estimated at about 2 – 5% from the cycle. 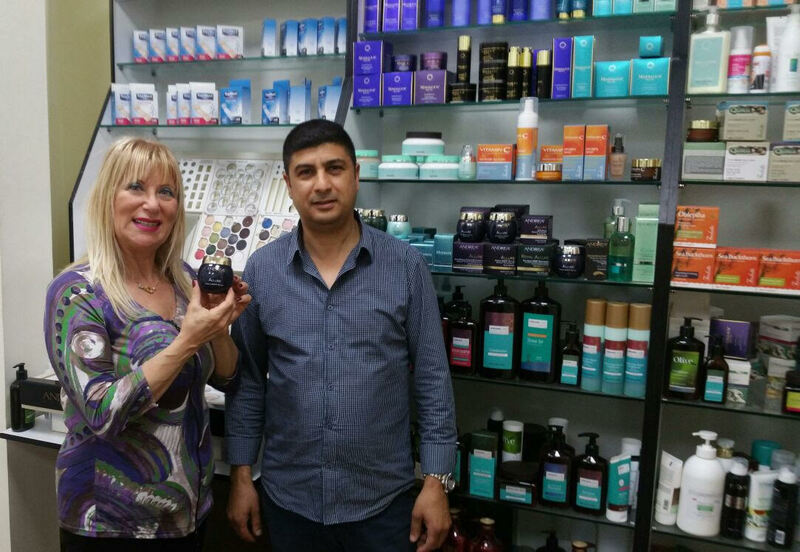 The Manager of the Association of Consumer Products and Construction, who manages the Cosmetic Branch in the Manufacturer's Association, Adi Shauli, states that: "The Cosmetics Industry Manufacturers Association is promoting nowadays, in collaboration with Knesset Member Merav Ben Ari, (in the Kulanu party) the legislation of Pharmacists' regulations, after many years of working together with the Ministry of Health, with the aim of bringing these legislation regulations for a speedy approval by the Knesset. The matter of exemption from licensing for a cosmetic product intended for export, which is not sold in the domestic market, will be resolved by regulatory approval that adopts the Cosmetics European Regulation aimed for alignment with the European regulation dealing with cosmetics. The industrialists see in this legislation an opportunity to work in coordination with advanced countries in the world. Even today, many of the industrialists meet the standards of new regulation requirements, in order to export abroad. They do this with much success, bringing about pride for the Israeli Industry in general, and especially for the Cosmetics Industry". The "Peer-Pharm" owner, Haviv Peer, says: "Israel is considered today one of the leading countries in the world in the Cosmetics Field, among others, thanks to the Dead Sea, which is a wonderful and natural resource for beauty products. 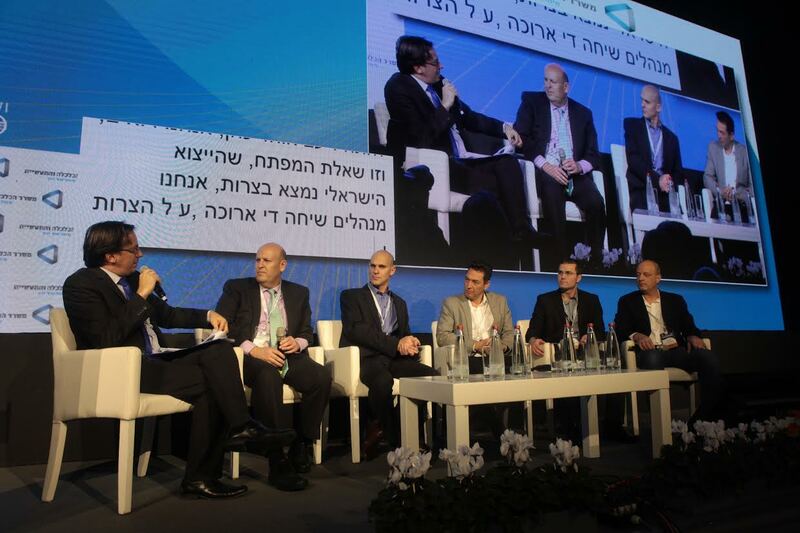 Also, Israelis have courage, which is expressed in innovation and new developments. Israelis are always open to adopt new standards and they do not adopt fixed stands, like European companies, most of which manufacture, until today, cosmetic products in the same formats used back in the 70's." The "SPA Cosmetics" owner, Jacky Shklarsh , states: 'The Israeli cosmetic branch is developing, but there are great governmental barriers that prevent the export growth, and regulations that cause enormous workload. For example, when in Europe it's enough to fit and register, in Israel, one must pay a fee for each and every product. We would like to adopt the European standard also in Israel." "Peer-Pharm" - This plant was established in 1991, and today manufactures a number of brand-name products such as: "Andrea Milano", "Frulatte", 'Spa-Pharm' and "Organi-Care". The companys' products include more than 7.000 items, exported to 20 countries, such as; United States, Korea, China, Sweden, Poland, France, Hong-Kong, Singapore, Denmark, Germany, Ukraine, Romania, and others. 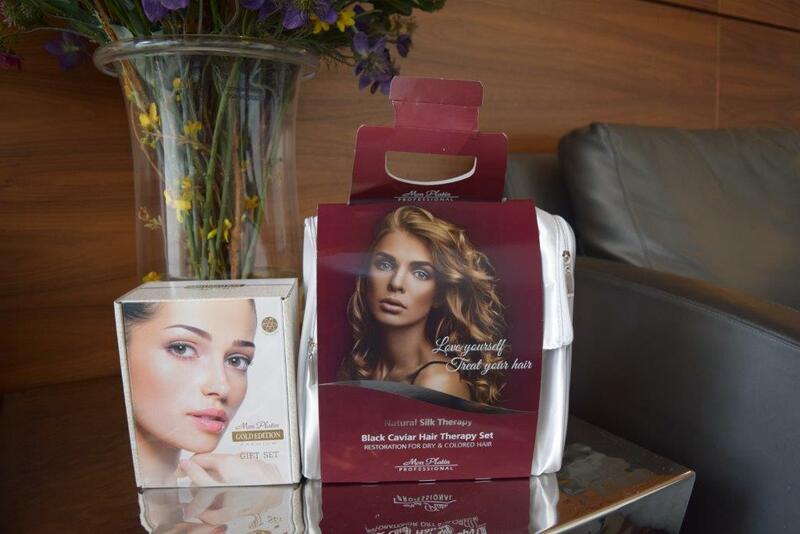 "SPA Cosmetics" - This brand was founded in 1988, and today its products comprise 80 different brand-name products, including different 700 various, which are exported mainly to North America and other national networks, such as England, Germany, Hong-Kong, China, etc. "A. Meshi" - This plant, which manufactures the product 'Mon Platin'' was established in 1994,and today in its products, include more than 600 items, exported to 50 countries; among these: United States, Italy, Spain, Belarus, Russia, Guatemala, Ecuador, Mexico, Canada, Cyprus, Greece, Lithuania, Slovakia, Check Republic, and others. The Africa You Didn’t Know. Africa is a giant continent with no less than 54 independent nations, yet many people consider “Africa” as a single unit. Nothing could be further from the truth, as Dr. Ayo Salami explained to his audience on Sunday, at a private meeting held at the Tel Aviv Stock Exchange for investors, accountants and lawyers. Dr. Salami, a distinguished graduate of the London School of Economics represents the Duet Group which controls assets to the tune of about $5 billion. 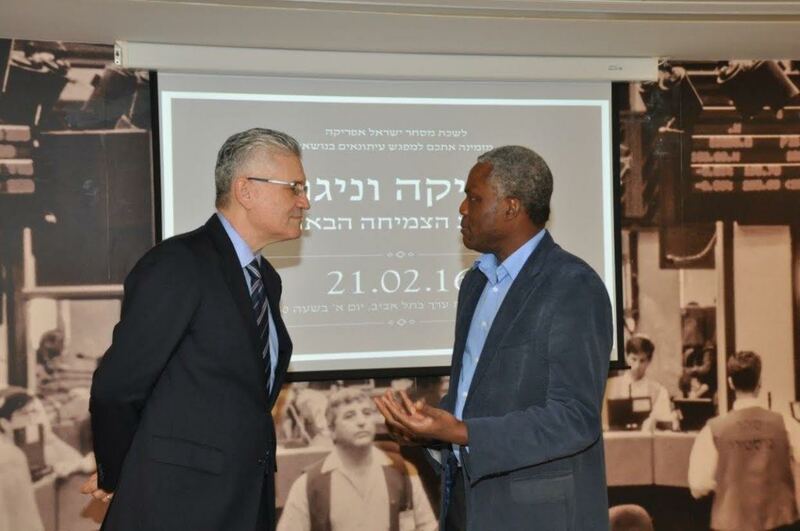 He came to Tel Aviv for one day, specifically to deliver his lecture. 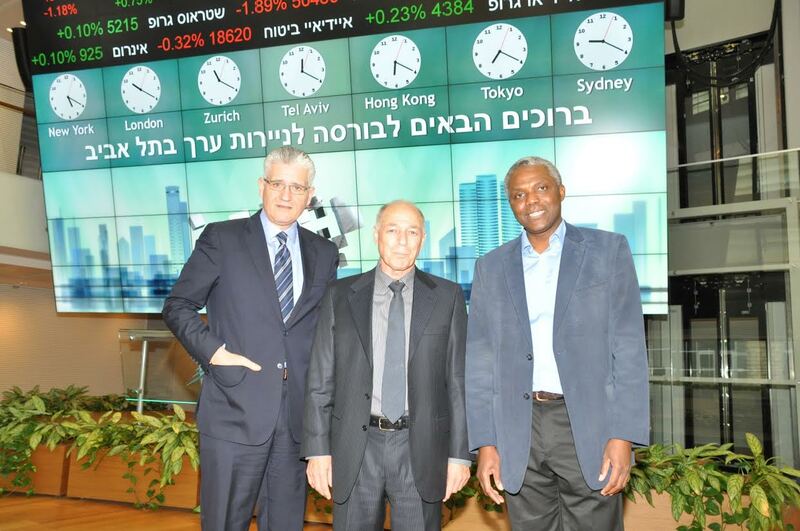 The event was hosted by the Israel-Africa Chamber of Commerce and the Tel Aviv Stock Exchange. The President of the Chamber, Mr. Eli Avidar introduced the speaker and welcomed the guests. Dr. Salami gave a broad overview of the “dark Continent”, surprising the guests with many startling statistics, including the fact that the world’s fastest growing and most consistently successful economy over the past years is not China, not India, but Botswana. Over 1 billion people live in Africa, speaking over 500 languages in the 54 countries. There are many anomalies, such as that the most successful country – Botswana – borders one of the worst failed states – Zimbabwe. In his fascinating presentation, Dr. Salami focused on Nigeria, a powerhouse by any standards. He touched briefly on what he termed “lies by omission” by the media: leaving out facts that should be part of all responsible reporting, thus misleading the public who might otherwise have a much better-informed view of Africa. No one left without new insights into Africa, its economy and the startling investment opportunities in so many countries there. Africa – it’s not what you thought. 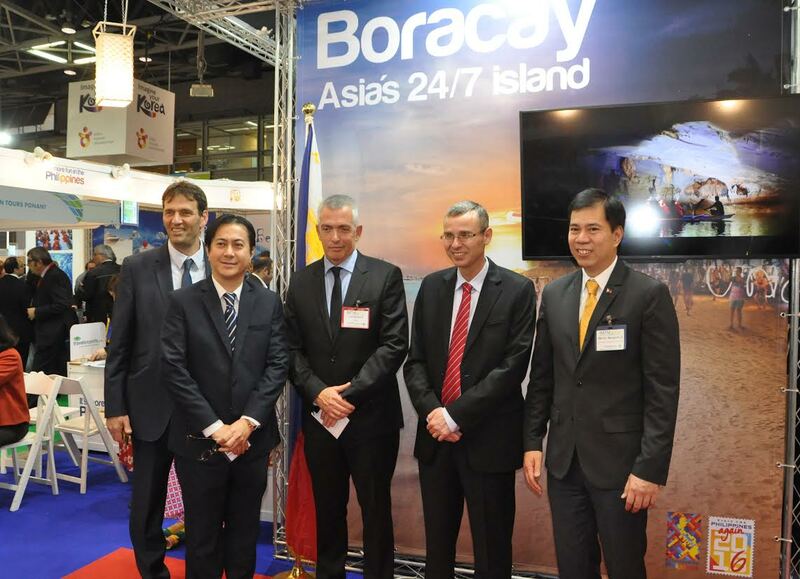 11 February 2016, Tel Aviv, State of Israel – The Philippine pavilion at the annual International Mediterranean Tourism Market (IMTM) instantly stood out as a crowd winner during the fair's 22nd edition, which was recently held at the Tel Aviv Convention Center. The panoramic views of destinations adorning the pavilion, beautiful and upbeat videos, rich taste of Filipino delicacies, and the variety of song and dance performances, including flair bartending, attracted hundreds of visitors and showed them that, truly, "It's More Fun in the Philippines." The Philippine pavilion was formally opened by Department of Tourism Undersecretary for Tourism Development Benito C. Bengzon, Jr., who led the first DOT delegation to the IMTM, and Philippine Ambassador to Israel Neal Imperial. Joining them were other DOT officials and partner travel agencies from the Philippines such as Annset Holidays, Inc., Flyeast Philippines, Intas Destination Management, Inc., Maman Aviation, Ltd., and Travel Experts, Inc.
Israeli Tourism Minister Yariv Gideon Levin also visited the Philippine pavilion during the first day of the travel fair and was delighted to watch the "Tinikling" performed by members of the Filipino community in Israel. DOT officials also held a Country Presentation on the second day of the fair. Around 50 travel and tour agencies, including business organizations, attended the event. Through videos, photos, and cultural performances, DOT officials showed why the Philippines is the next best destination for Israelis in Asia. This is the fourth time that the Philippines has participated in the IMTM. Previous participations were done through partnership between the Philippine Embassy and the Israel-Philippines Tourism Chamber. However, this is the first time that a Philippine pavilion was organized and led by DOT which has made Israel as one of its priority markets. The keynote speaker at the conference was Abby Joseph Cohen, President of the Global Markets Institute and Senior Investment Strategist at Goldman Sachs. Joseph Cohen presented an overview of global economic trends and their influence on the economies of the U.S., Israel and the world in general. 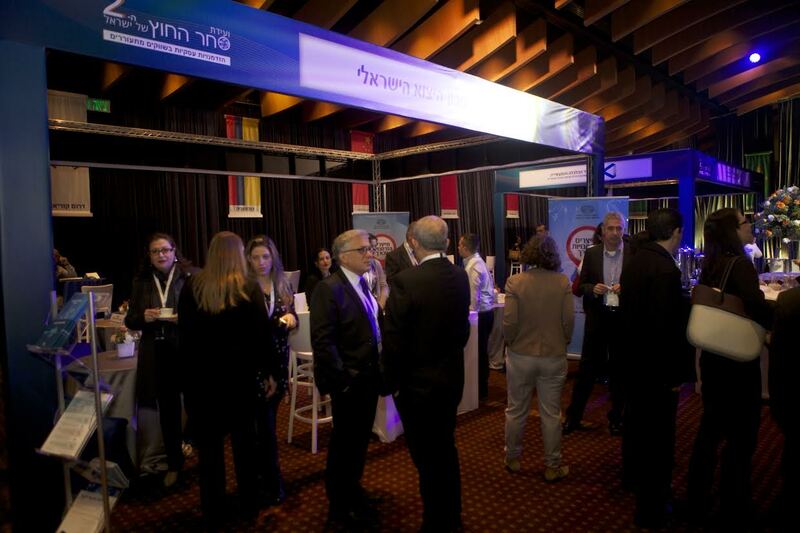 Economic attachés from the Foreign Trade Administration posted in markets such as China, India, Brazil and others also presented Israeli exporters and investors with opportunities to increase their activities and penetrate new markets. These economic emissaries, situated in key trade centers around the world, help exporters and Israeli business entities break into new markets and locate international investments. At the conference, the attachés met with businesspeople, entrepreneurs and exporters interested in penetrating foreign markets or identifying new avenues of export. Other participants at the conference included Ms. Yuan Zhou, Senior Vice President of the Credit Management Corporation Creditease, China; Mr. Andile Khumalo, Chief Investment Officer at MSG Afrika Investment Holdings; Mr. Marcos Holanda, President of the Bank for the Development of Northeast Brazil and Tzahi Malah, CEO of Ashra, Israel Foreign Trade Risks Insurance Corporation Ltd., as well as other senior executives from leading companies.